I was always interested in making my own beer, but the start appeared to be expensive and complicated, so I never really tried. Recently, I have stumbled upon the BIAB method, found this forum, and learned here about the mini-BIAB approach. This was it! 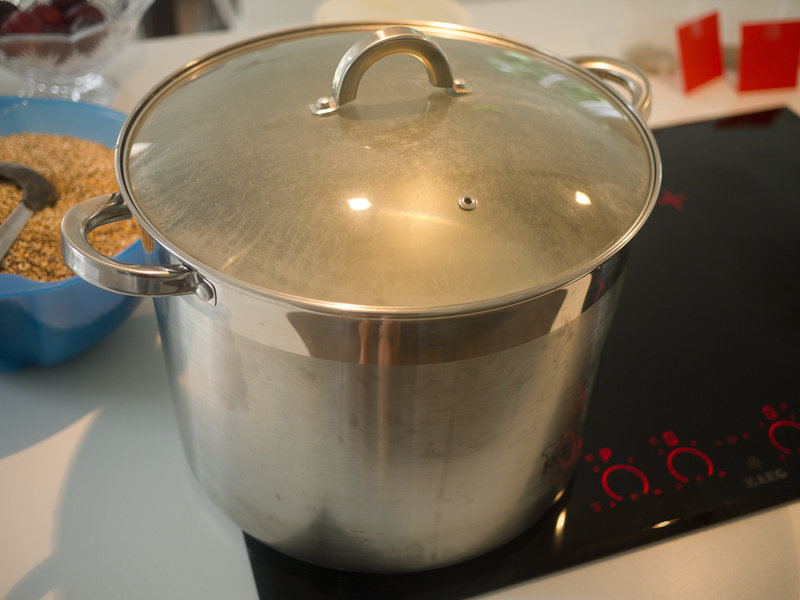 I had nearly everything at hand, even a 19.5 L stainless steel pot which my wife is using for cooking marmalade! 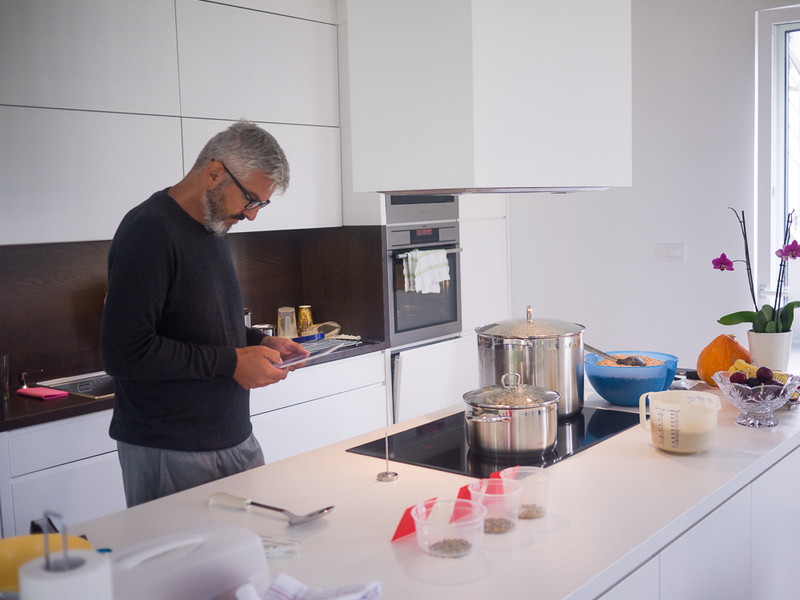 And I could do most of the brewing procedure in our kitchen! 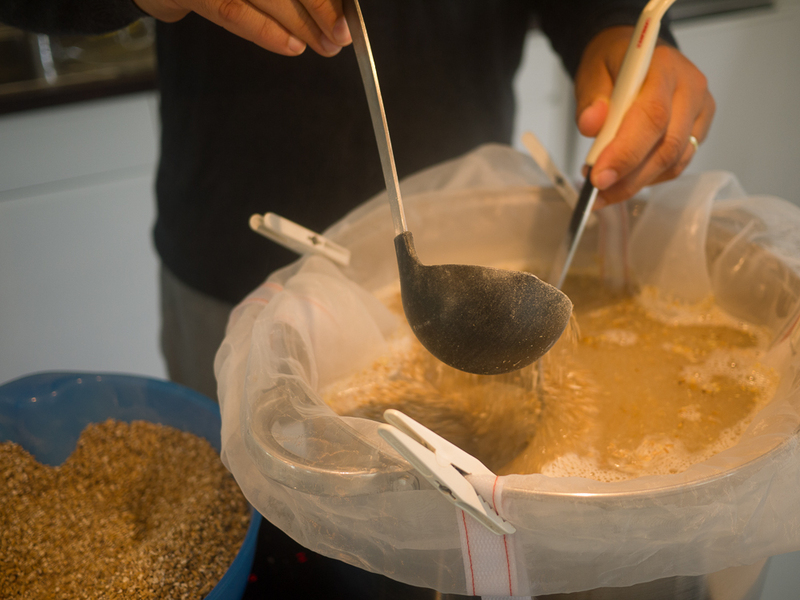 Now, while I am sure extract brewing is a great way to get experience and perhaps to keep one happy throughout their brewing career, I was not interested so I wanted to do All Grain from the start. 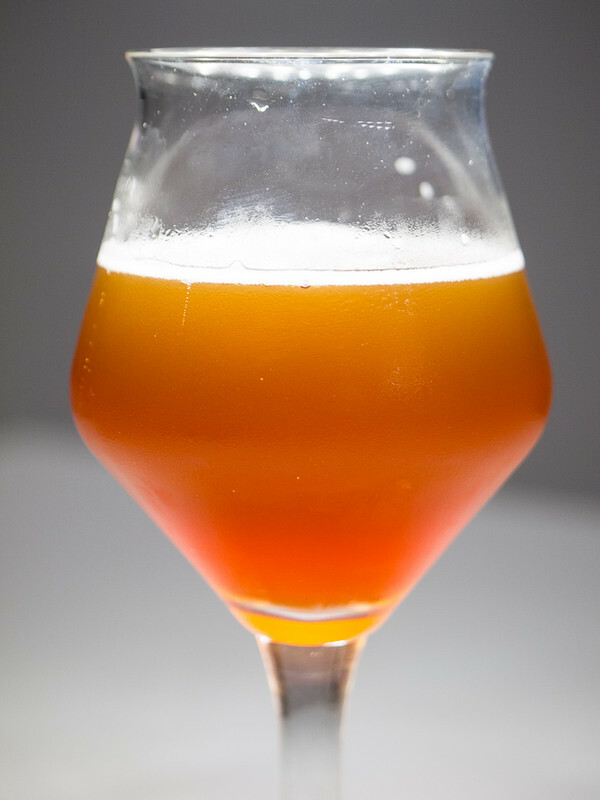 The recipe in the mini-BIAB tutorial, the NRB's All Amarillo American Pale Ale seemed perfect for me: very clear and easy to follow, and is said to be robust and forgiving of mistakes. And I love IPA-style beer. (But feel free to accuse me for the lack of imagination!) So, I got the ingredients and some equipment from a local brewing-supply store, chief of them being a 50 L BIAB bag for which I paid a whooping 35 EUR. To start with the planning phase, let me paraphrase my favourite post in this forum: "XXXXX part of the procedure description left me confused, so I drank a beer, and now everything seemed clear and understandable". This is my operation theatre with everything ready to go and with myself taking the last look at the mini-BIAB tutorial. Water is already warming to strike temperature. 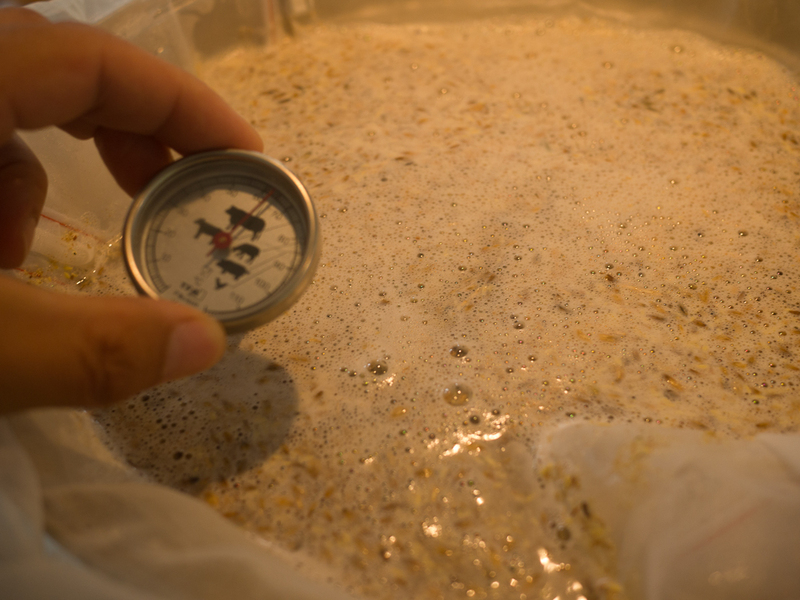 I was aiming for 10 L of Volume into Fermentor, for which the Mash Volume exceeds the capacity of my pot - to avoid this problem, the tutorial proposes to start with heating 15 L and then add extra water into the pot after the grain is poured in. Therefore I was heating additional 3 L in a separate pot that you see on the stove. We have an induction stove and I was very happy to see the water was warmnig up rapidly. Strike temperature of 68 C was reached in less than 20 minutes. Bag is set, and malt goes in! The beauty of this method is that I could almost exclusively use our existing kitchen hardware. Last edited by okram on 14 Dec 2018, 04:48, edited 2 times in total. 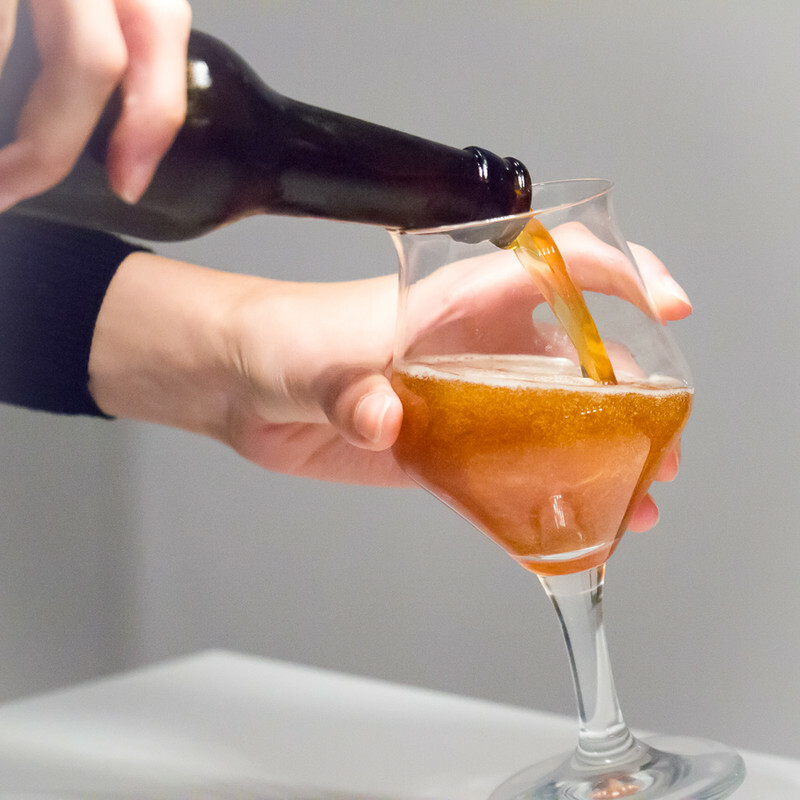 "Honey, just imagine how much we'll save if I start making my own beer! What's even better, the more beer I will drink, the more money we'll save!!!" 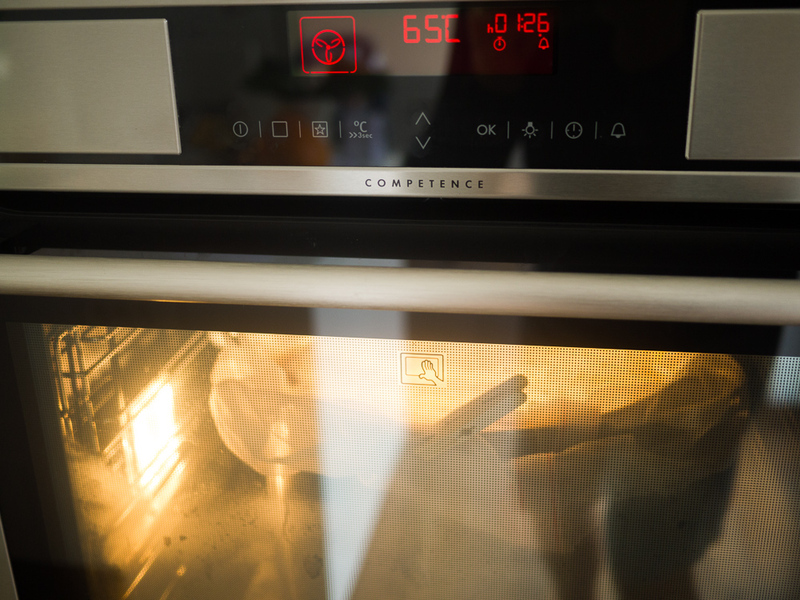 Mashing was done in the oven, set to 65 C - another brilliant tip from this forum. No worries about keeping the temperature constant. For timing, the oven timer/alarm was set to 90 min - very convenient. After putting the grain in, I could only add about 2 L of extra water without the risk of spilling when transfering the pot from the stove to the oven and back. I have to admit that the weight of the pot was already at the limit of being manageable, particularly when putting in/out of oven. 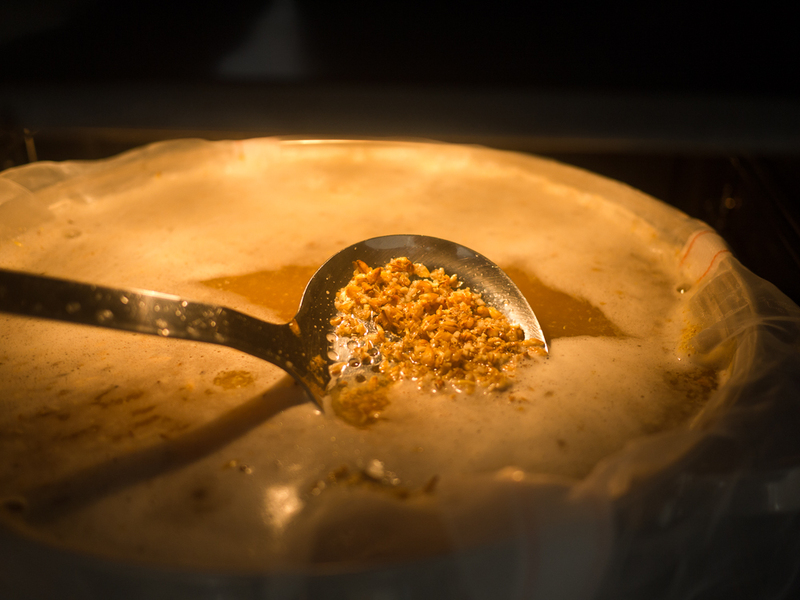 Mash was then periodically stirred, the lid was kept on to prevent evaporation and condensation inside the oven. End of mashing! Temperature was 65 C sharp - I only have a meat thermometer at the moment, which however showed exactly the same temperature as the digital meat probe that I tried too (and also the same 65 C that the oven was set to), so I assume it was more or less correct. SG read 1.042 (BIABacus predicted 1.043). I put the bag out, squeezed it a bit, put it into a plastic container and left it drain for a few minutes, then squeezed it some more. Returned the extra wort into the brewing pot. Wort volume at this stage was 14.80 L, whereas original calculation (assuming full mash volume) predicted 16.26 L. Well, the evening before I did some testing with water only and it seemed that evaporation was less than BIABacus predicted, so I let it be and proceeded to boiling. Getting the water to boil was quick too (about 15 minutes). A quick YouTube search showed me what exactly a rolling boil is, so no problem fixing it with the induction stove. 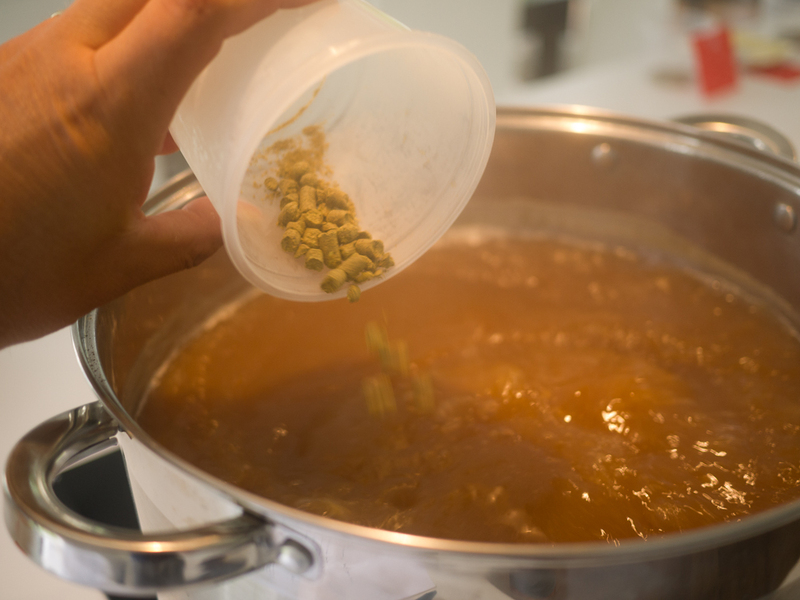 Amarillo hops were going in according to the schedule in the recipe (boy, are they aromatic!). I was even so pretentious to add half a teaspoon of Irish Moss 15 minutes before the end of the boil (Whirloc could not be sourced from our local homebrewery suppliers). Evaporation was going on fast - more in line with BIABacus predictions than my own estimates; I lost around 2.6 L in the first hour, so I added 1.5 L of boiling water to the pot at 60 minutes into the boil which I presumed would be enough to arrive at the final desired post-boil wort volume. Evaporation was condensing big on the kitchen element and on the extractor fan above the stove, which is really the only negative during my procedure. What's worse, condensation drops started to fall back to the pot so I quickly started wiping the condensed water periodically. 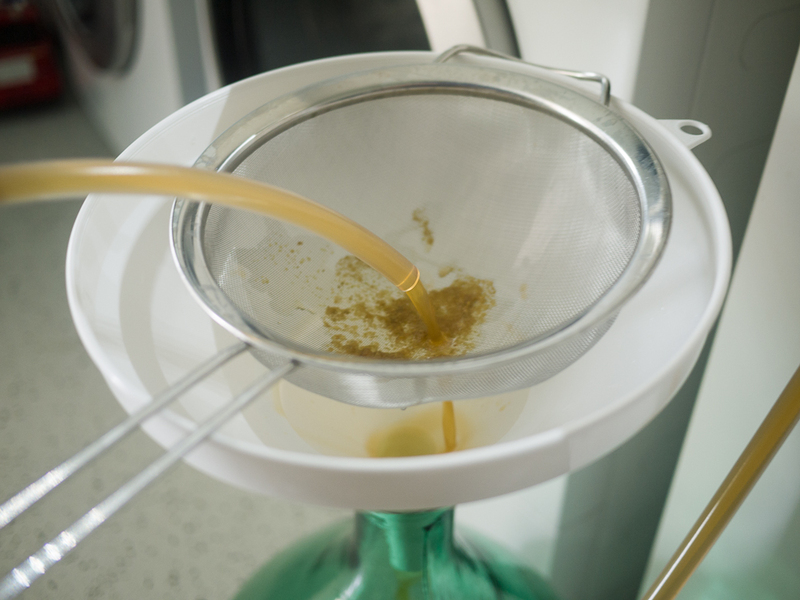 One particularly nasty source was from inside the light of the extractor, so maybe I have just developed a new beer flavor, World's first with a putrid grease aftertaste? Last edited by okram on 14 Dec 2018, 04:53, edited 3 times in total. End of boil! Predicted SG was 1.058, my sample tested 1.056. Expected post-boil volume was 12.13 L, I have managed 11.60 L. I was slightly worried about the pH of the mash as our tap water, perfect as it is, coming from the Alps nearby, is on the alkaline side (pH = 7.5-ish). Nevertheless, I was happy to follow the advice "if the water tastes good it will be good for the beer". Later, I have measured the pH of the mash sample with my aquarium probe and it read 6.18, which at least is acidic - but perhaps due to air exposure pH value has already shifted up since I measured this a few hours later? 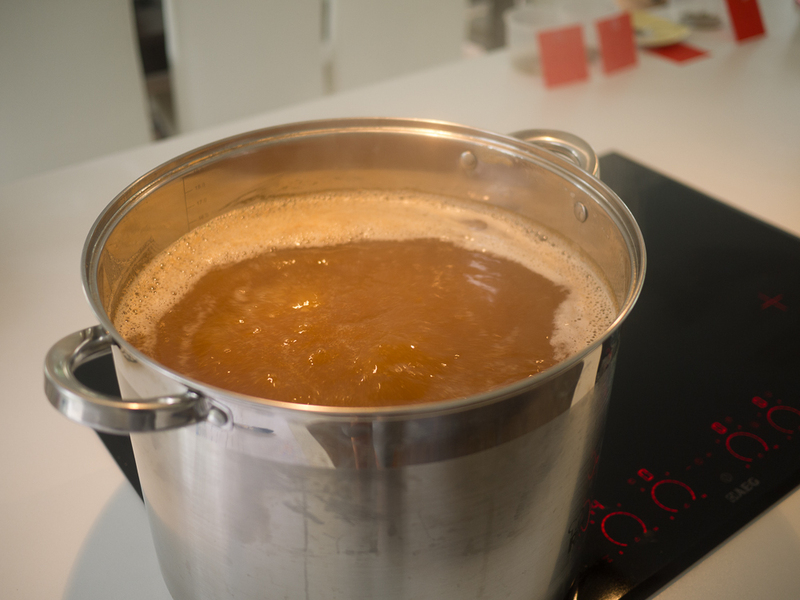 Anyway, the boiled wort tasted rather fine, if quite a bit bitter, which was of course expected given the recipe. After the boil, I left the wort standing for 15 minutes. Here is my cooling setup. 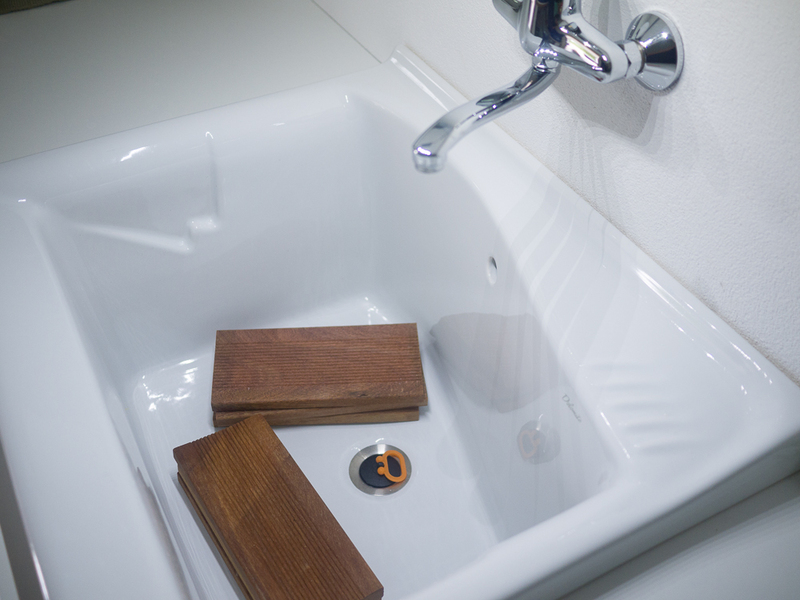 We have a large ceramic sink in our laundry aquarium room, and the tap water is quite cool at 8 C. Wood pieces were put in first to keep the pot clear of the sink plug and to prevent the pot from floating when the sink is full of water. After the pot went in, freeze packs were added to the sink. 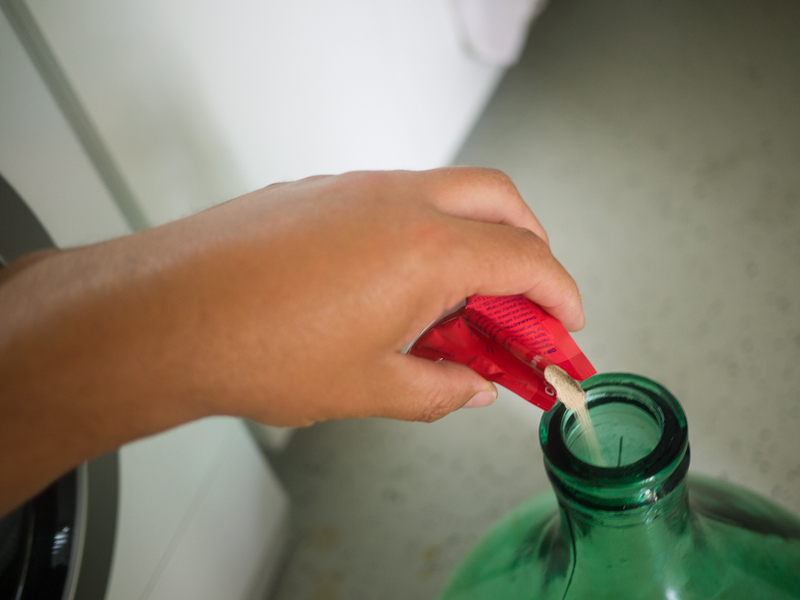 Initially, I planned to keep the faucet open to slowly substitute the warm water with cold, but I figured out that it is far more efficient if I simply change the full amont of water from time to time. 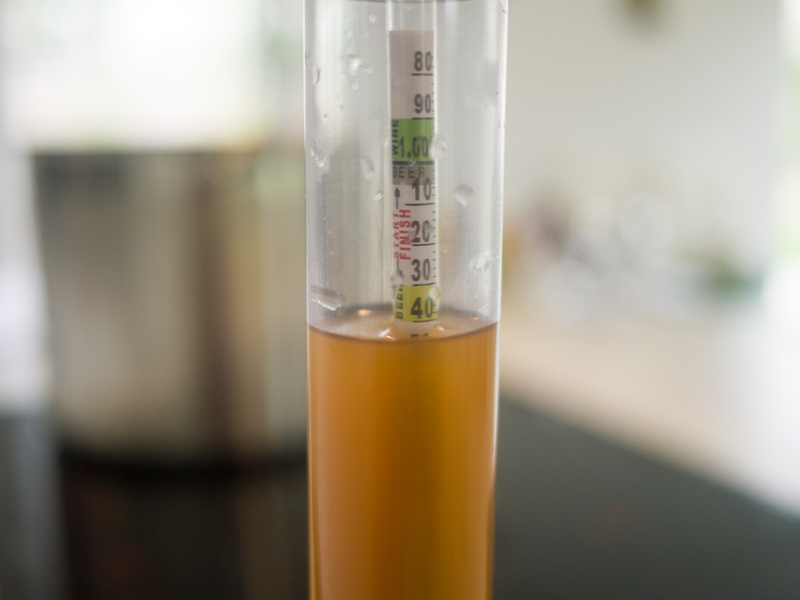 My final volume which went into fermenter was 8.8 L. This was a bit disappointing as I was aiming for 10 L, but I left quite a bit of wort mixed up with the fine light-coloured particles (trub?) inside the pot - as I have stirred the pot to equalize the temperature, these particles were suspended and I felt I should not pour any of this dirt into the fermenting vessel. I added a full 11 g packet of US-05 yeast which is more than the scaled-down recipe requires - my understanding is that overdosing the yeast does not hurt, and also that a larger amount of yeast might counteract effects of increased fermentation temperature, as I was expecting trouble keeping the ideal temperature due to the lack of any dedicated cooling system and the outside temperatures still being above 20 C. Before and after adding the yeast, the demijohn was shaken thoroughly for oxygenation of the wort. This is my fermentation setup in the cellar, using a simple evaporative cooling system. 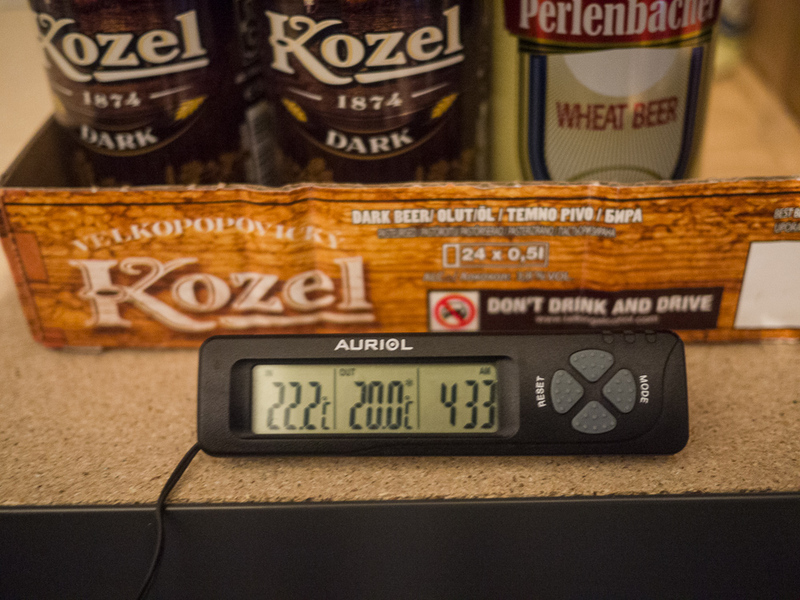 Bottle temperature appears to be around 20 C with the ambient temeprature of 22 C, which is just fine. Besides an aquarium LCD thermometer sticked to the demijohn, I also use a cheap Lidl digital thermometer with a flat metal "outside" probe, which I keep attached to the glass and seems to return roughly the same temperature as the LCD one. As of now, 33 hrs into fermentation, the airlock is happily bubbling and all looks to be fine. The smell comming out of the airlock is also great, very IPA-ish! Last edited by okram on 14 Dec 2018, 04:59, edited 1 time in total. Whoa! This is it for now (I suppose I must buy a beer to anybody who bothered to read the full thread up to here!). I would love to hear your comments, advice and criticisms of my procedure. 1. This is it!! I love brewing! 2. This forum is just great! It was really really helpful reading through the posts, almost nothing left unclear. 3. The mini-BIAB method is extremely convenient, I could do most of the work in the kitchen and use the readily available hardware and apparatus. Cleaning up was also fast and easy (I was particualrly impressed with how easy was to clean the brewing bag). 1. 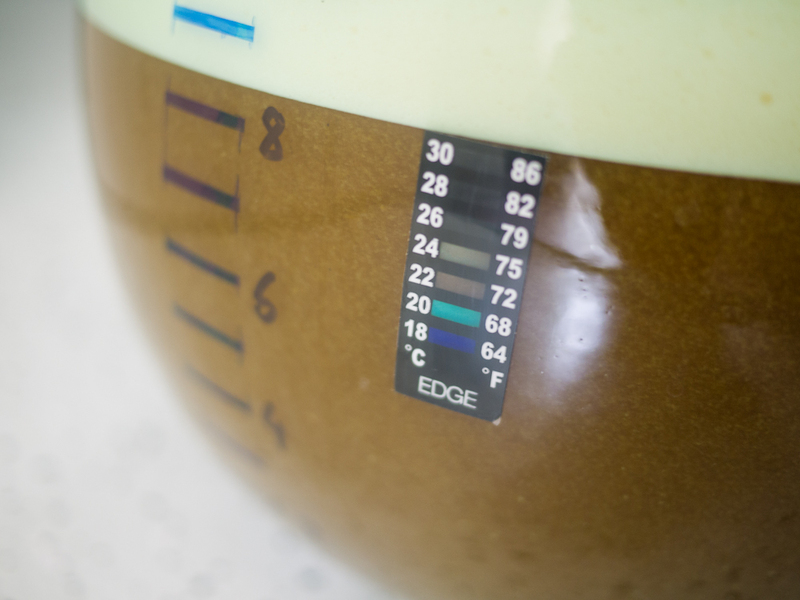 Set up a dedicated temperature control for fermentation. Something like a DIY brewPi should be fine and not too expensive - cheaper certainly than for example going to 3-vessel brewing system. 2. Sort out the volumes. I was improvising this time. I know that this is a delicate topic. But I so wish to stay at my current setup - I feel the larger pot would be too big and too heavy for the oven, and stove capacity might also be lacking to boil huge amounts of water. 3. 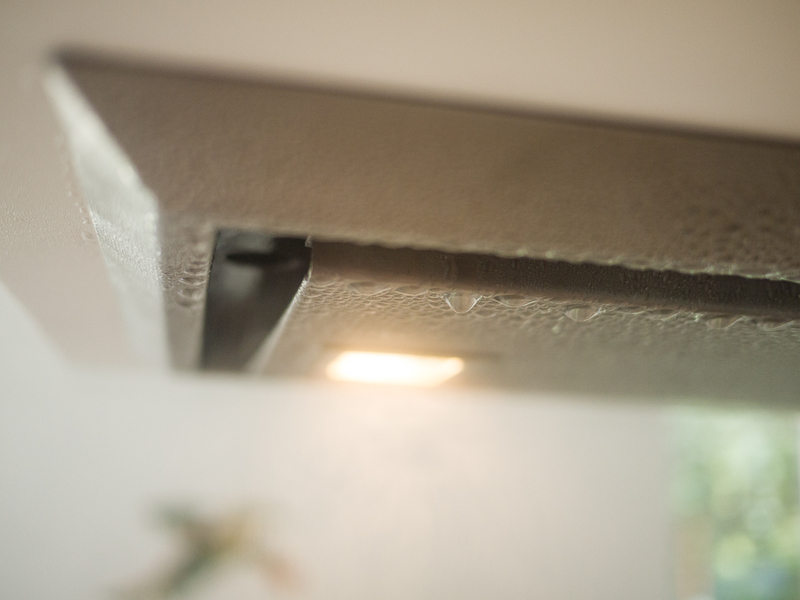 Do something about the condensation above the stove during boiling. 4. 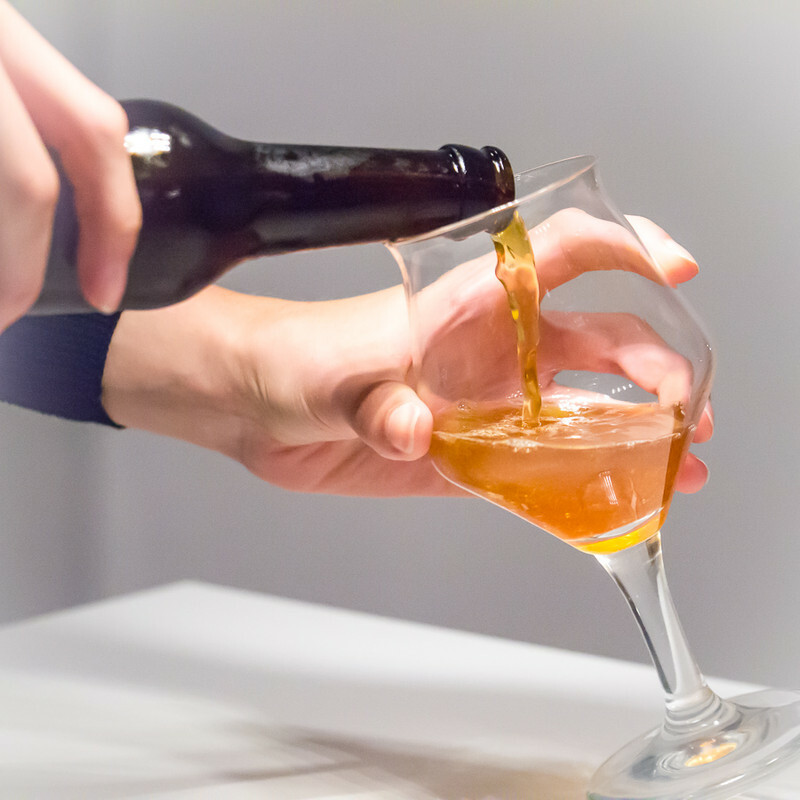 Explore and try new BIAB recipies!! Great post!!! I think you have considerable experience with taking good clear pictures and short, clear illustrations... ("This is not your first rodeo", as some of us in the USA might say. ) Think you said you are a university teacher, so that might make sense. Using the BIABacus Excel file should help sort out the volume question a little better... You will get used to your system and figure out the specifics, but it seems you are on a good path. Let us know how you like it and how it turns out. 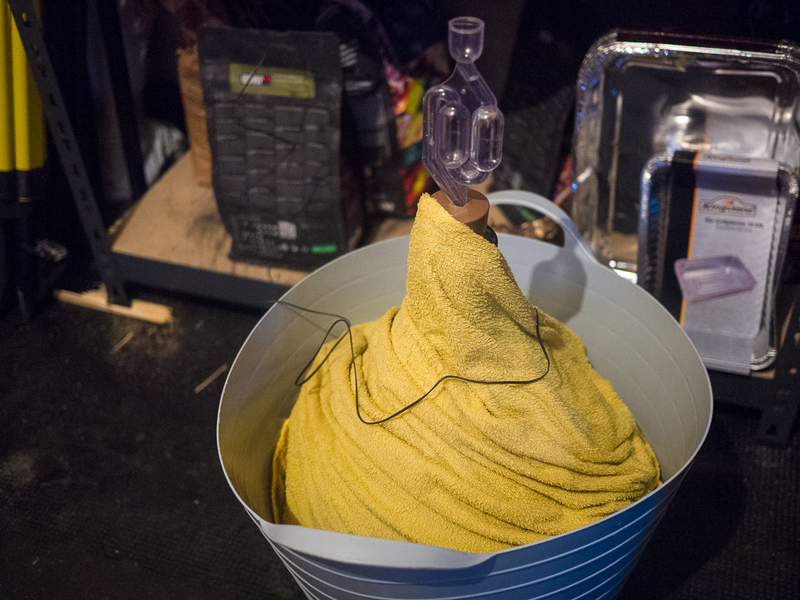 Yeah, only question with mini-BIAB will be how long will your brew supply last... If you go through beer too quickly you can always transition to a larger setup with brewing setup outside... Avoids having a sticky floor in the kitchen, and for me, the wife prefers I keep the awesome aromas of beer being made outside the house. I brew on the back porch - takes me about 10 minutes each day to set up and break down my brewery - and believe I have a really good system. If you get to that point where you need to brew larger volumes - you may not - and want to see elements in operation, let me know and I can show pictures and explain what I do. 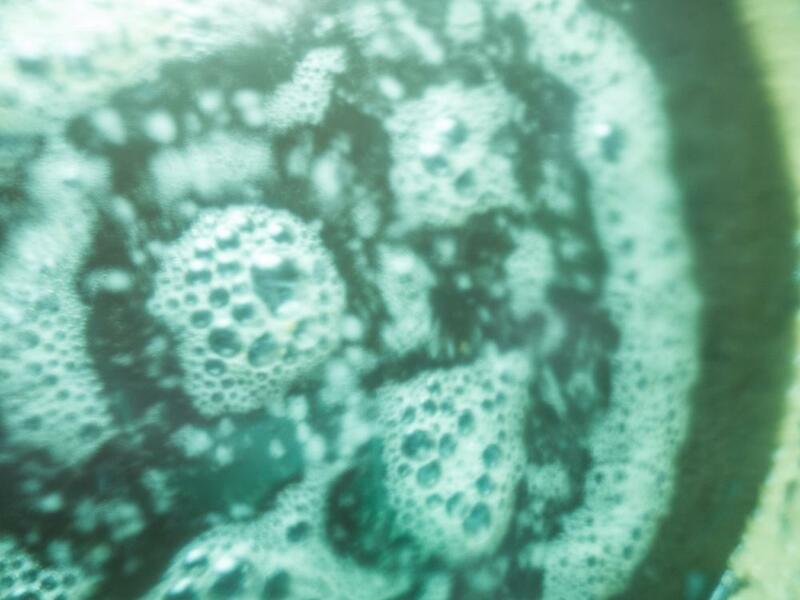 But many people enjoy a smaller setup, and mini-BIAB is a good thing...so certainly is possible you will remain very happy with it. Thanks again for sharing. Great post! Last edited by Scott on 15 Aug 2017, 22:27, edited 1 time in total. Thank you for reading this through and for your kind comments! Some very good points and ideas here, thanks!! Thankfully, I have lots of space around the house so going bigger and out of the kitchen is not a big problem if that time comes. 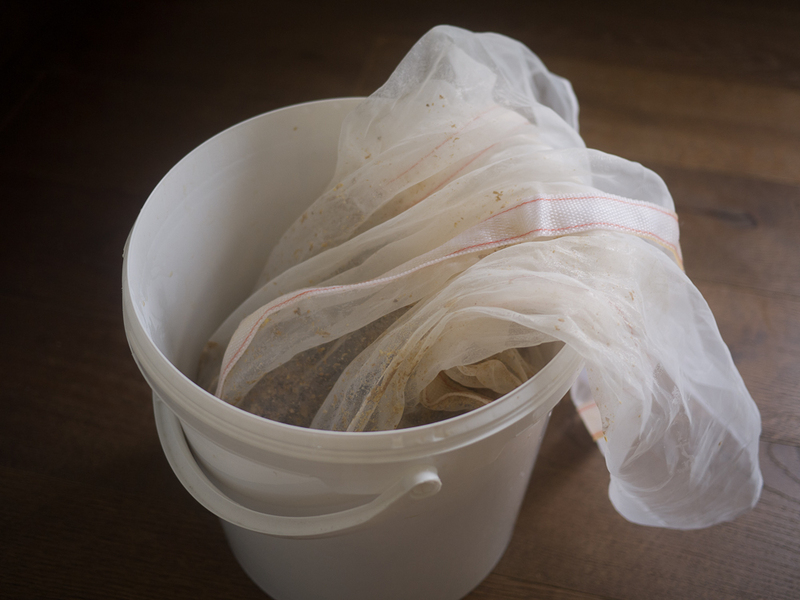 My birst batch was boiled with doors and windows wide open due to nice Summer weather, it remains to be seen what other house occupants will say about the aromas when everything is closed. Even now, the younger daughter already objected strongly, and she wants to become a biochemist, hehe. I have currently enough crushed malt and hops left for another mini-BIAB run of the same stuff. I will be away from home for 2 weeks, but when I return I will gladly ask for guidance to optimise the next brew. Thanks!!! 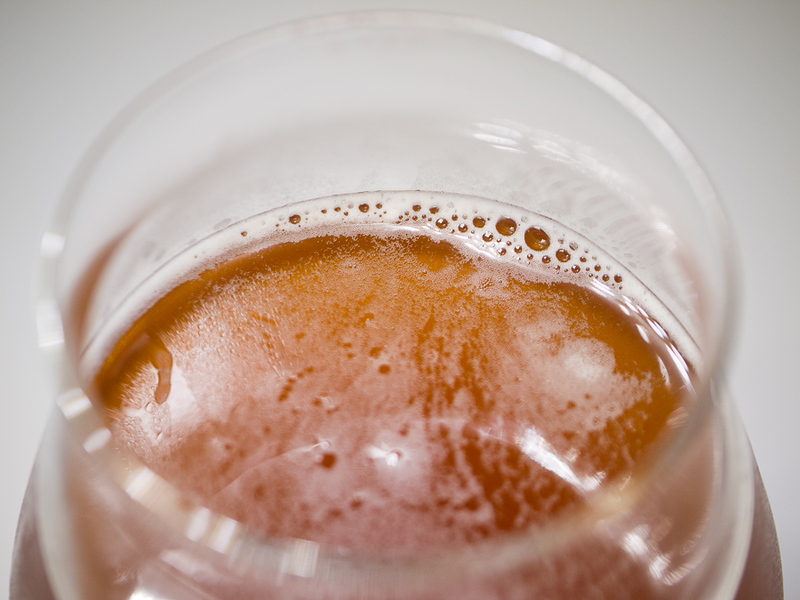 Today, 6 full days have passed since the wort was poured into fermenter. I have just measured SG and it read 1.010, which is more or less what the final SG should be (1.015 predicted). I suppose that if SG stays the same for the next 1-2 days, I could bottle the stuff? Well, after leaving it in the fridge to cool it was not bad for a non-carbonated 6-days old fermented beverage (I woudn't dare call it beer at this stage). Sadly, the strong hop aroma is nearly gone. The taste is bitter as it should be, there is a little of some not-so-pleasant aftertaste. I guess/hope this will still improve (for the better??) with additional rest. Last edited by okram on 14 Dec 2018, 05:00, edited 1 time in total. Well did it finish? I normally leave ales in for 7-10 days; try leaving them in a day or two after I think they are done before checking gravity. Checking gravity - between OG and FG. When finished it would be FG (Final Gravity). At the start is the OG - Original Gravity... Easy to get the terms mixed up at the start. 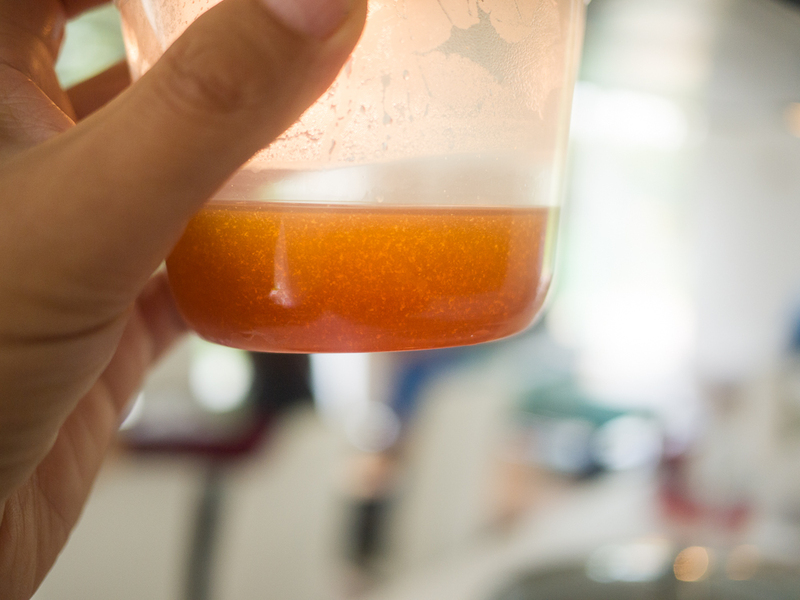 Fermented Wort is Beer - so that's what you made... It may not have finished yet if the sample has off flavors. And for so,enof my brews, lagers in particular, the seem to need a little time to "Lager"... So don't worry about it. It will probably be just fine. And if it isn't...it's just practice. Everything is just practice. 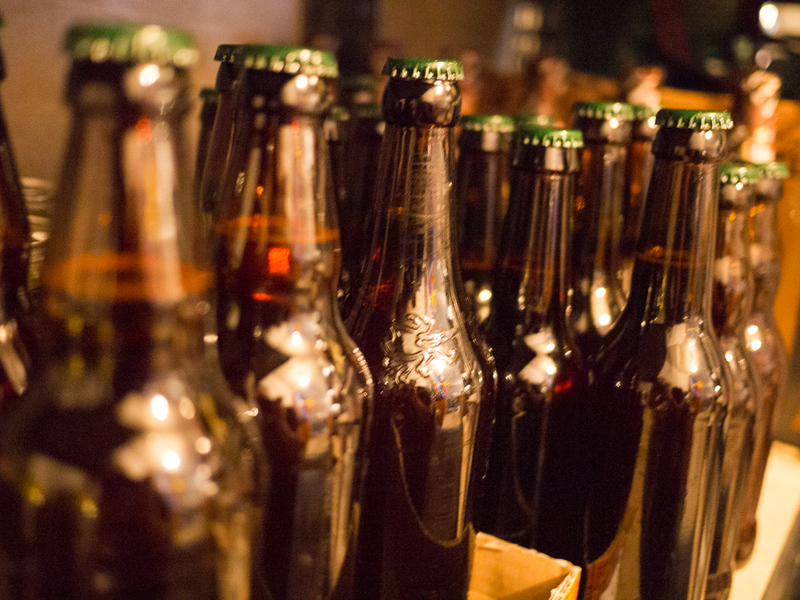 Don't be in too much of a hurry to package the beer. 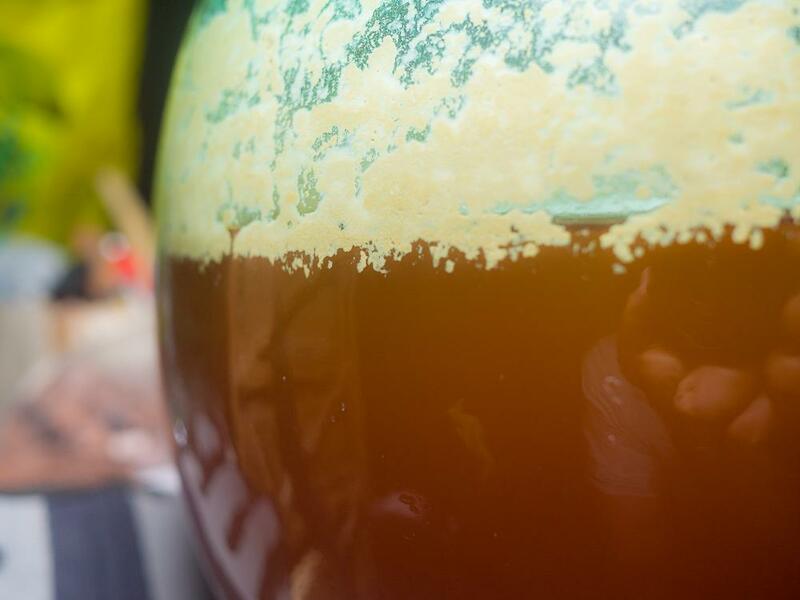 Even though you have reached your target gravity the yeast is still working at cleaning things up. You may be on target tho having gone this long. I typically go 14 days but that us because I usually have Saturdays to myself. 10 days as mentioned is decent if your gravity has stabilized. Looking forward to your finished results. Marko, in your first post you said you hoped that your thread would "entertain old hands." Well, I'm an old hand and just had a quick scan of your posts above and I am savouring for when I have the time to relax with a beer and read through it properly. I may not be able to do this for another couple of weeks but just thought I'd let you know that I have it bookmarked and am really looking forward to it. I already know it will entertain but I suspect it is going to do more. Just a quick glance at the quality of pics etc tells me this. Very nice write up and pictorial. You must have an accomplice taking photos for you as you appear in many of them. I like the idea of the mini BIAB. Alas my wife also complains of brewing indoors. SO out by the pool for me. Let us know when you get it carbed up. sorry for my late reply - I was on holiday this week and I am writing this very quickly before going away from home for a few days more. 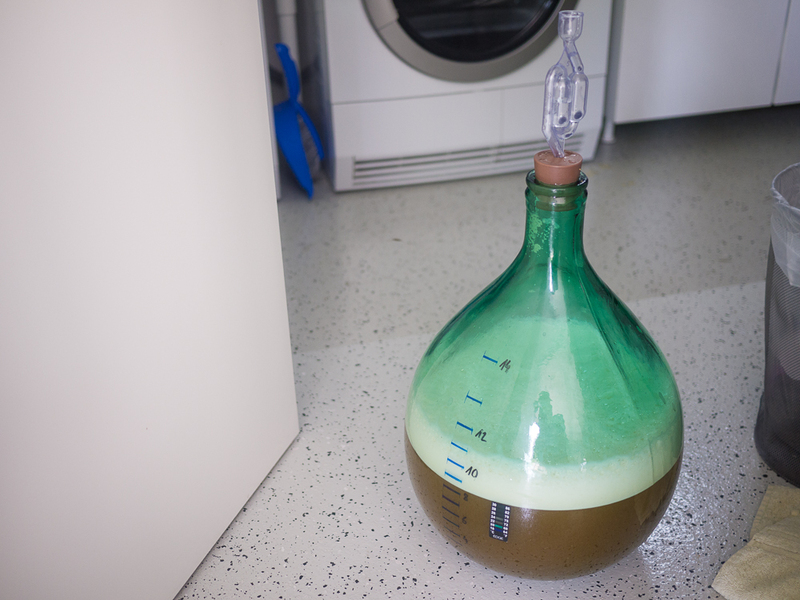 As previously written, I was ready to bottle my first brew one week ago, and had everything sterilized and ready, but just before starting to siphon out of fermenter, the airlock gave away a couple of substantial burps. Therefore I decided to leave beer in fermenter until I return home from vacation. Exploding bottles with myself being away from home would not please my wife for sure. Volume Into Packaging was 7.95 L and FG read 1.011 - numbers are lower than BIABacus predicted, but who cares, at least for the first time. Non-carbonated beer actually tasted quite fine. It has a beautiful amber color. Can't wait to try the final product. Last edited by okram on 14 Dec 2018, 05:03, edited 2 times in total. If you post your BIABacus file up here, we can have a quick squiz to make sure nothing obvious has been missed. Fantastic posts Marko; I loved your story and photos. I can tell you I started out with stove top brewing and sink and ice pack chilling just like you, and now I brew exclusively outdoors with two huge gas burners, 3 giant kettles, a fermentation fridge, a keezer, and I'm about to buy another second chest freezer I'll turn into a second keezer. You are on your way into home brewing now mate! You should absolutely heed Lump5oh's advice in future. 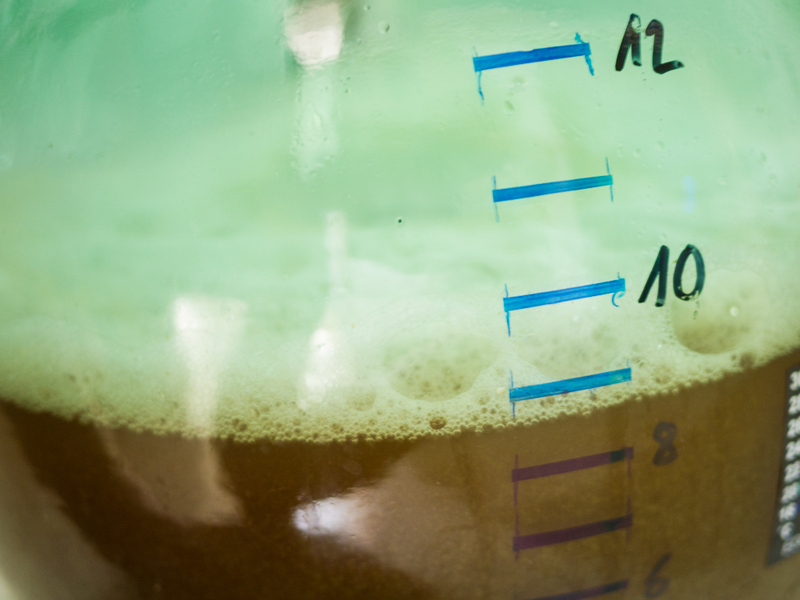 Leaving your fermenting beer on the yeast, regardless of reaching the FG target, will get rid of those 'green' beer flavours that are very common for new homebrewers. Let us know how it tastes? Hi Inconceivable, and thanks for your kind words. Haha, it's like you're reading my mind! I think I will go your way quite soon. 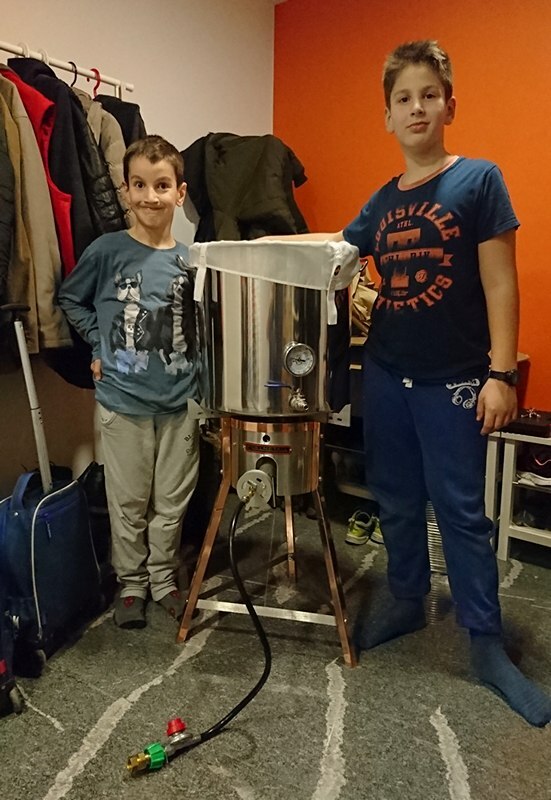 Stovetop brewing was a nice start, but with all the work involved, and with all the eager consumers (first among them: moi), it's just not worth my time and effort to make only 10 L at a time. The Big Day has arrived! Beer has been sitting in bottles for 2 weeks now. Time for official testing! [Full disclosure: unofficial testing was done after 1 week has passed, but pssst!] How does it look? How does it taste? This special opportunity of course merited engaging a hot model to pose for the brand! Last edited by okram on 14 Dec 2018, 05:06, edited 1 time in total. It's pretty darn good! Bubbles leave a bit of a sting, so it's probably slightly overcarbonated (I did dose sugar at the upper recommended limit), but nothing excessive. Taste is quite light, IPA (or APA?) flavor is there, but is not overpowering. I expected a little more, actually, but still not bad. Alcohol content is not too high either. I am thinking that this would be a fantastically refreshing beer in hot weather - alas, this time has passed away here for this year, so I cannot test it. No obstacle in any way whatsoever for finishing the remaining bottles, though! Nice head is formed when poured in the glass, but it doesn't stay long (by the time I took the photos, it was ~70% gone). 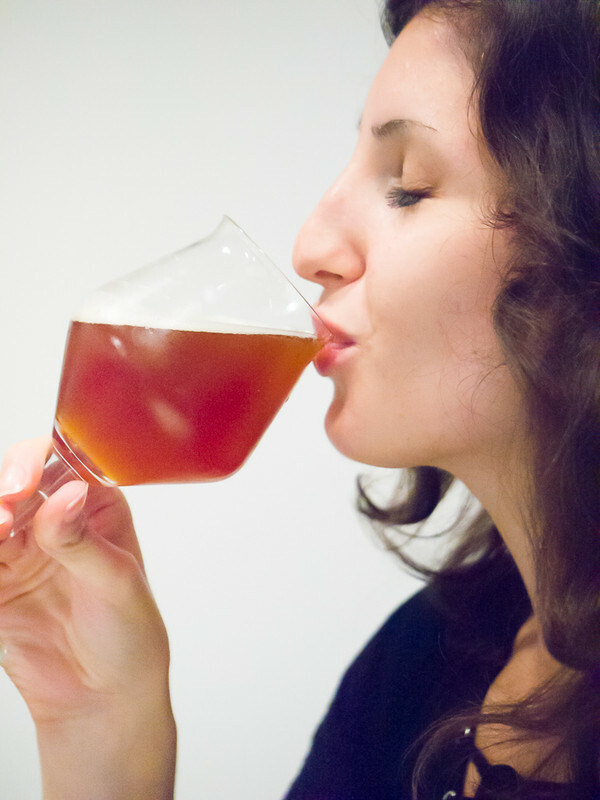 Hop aroma is only very light, this is my only (little) disappointment, since it smelled so nice during fermentation. 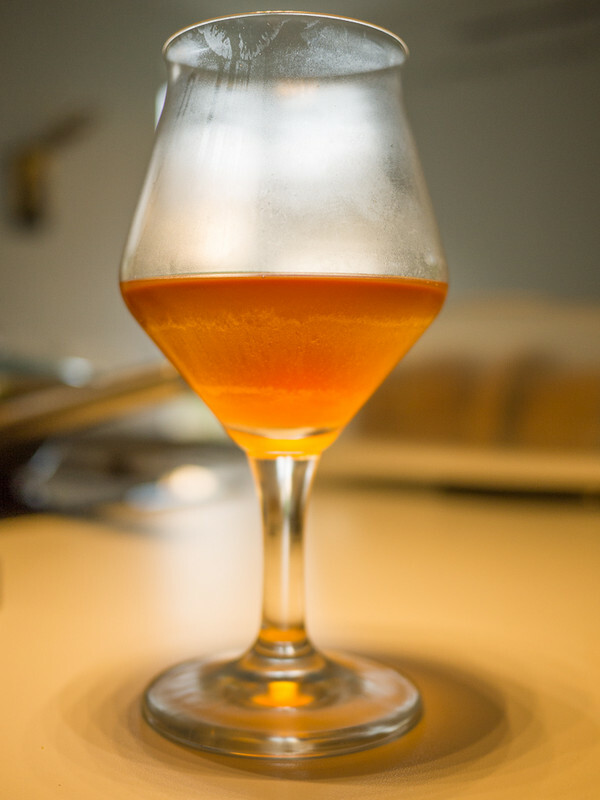 All in all, I want to express a big thanks to this forum and everybody contributing - the simplicity of the BIAB method pushed me over to try brewing, and with the instructions and information so good, it seems one just cannot do wrong! Na zdravje! ("Cheers" in Slovenian). Last edited by okram on 14 Dec 2018, 05:07, edited 2 times in total. Finally, several posters in the thread have very kindly commented on the photos. They were quite simple to make and I think they are not of particular technical or artistic quality. A few brief tips (that's all there is to it, really): above all, focus (haha) on the important things and leave the unimportant clutter out of the frame. What is particularly useful is if your lens has a large aperture opening, and/or if you focus a little closer to your subject. This way the unimportant background will be nicely fuzzy and blurred out of focus. 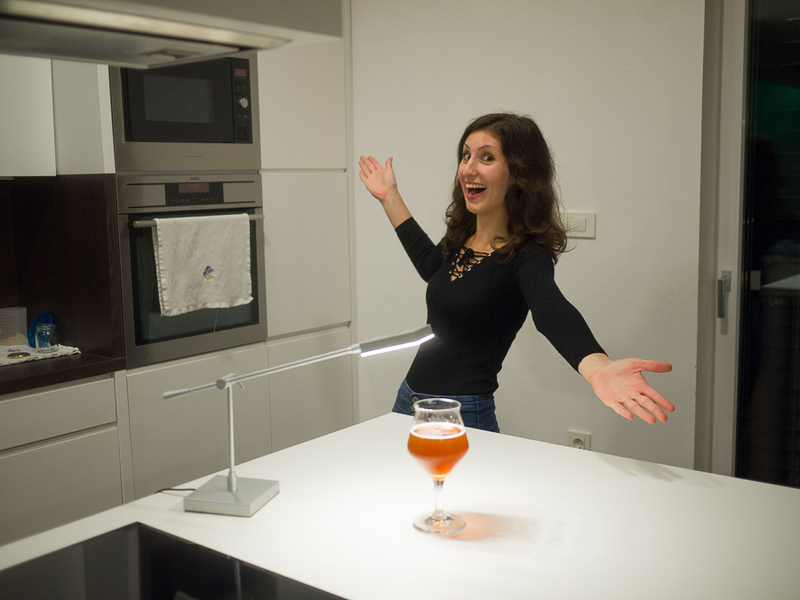 Use your available household lighting sources to light up the main actor (i.e., your glass of beer). And use a photo editing program (my favorite is Adobe Lightroom) to do postprocessing - cropping, color corrections, enhance color tones, ets. - just use all this sparingly. Last edited by okram on 14 Dec 2018, 05:08, edited 2 times in total. thanks for letting us know how it went. Quality photos as ever too, love your work. This site is littered with great advice but let me give you another targeted piece now: Do NOT drink your whole first batch too fast. 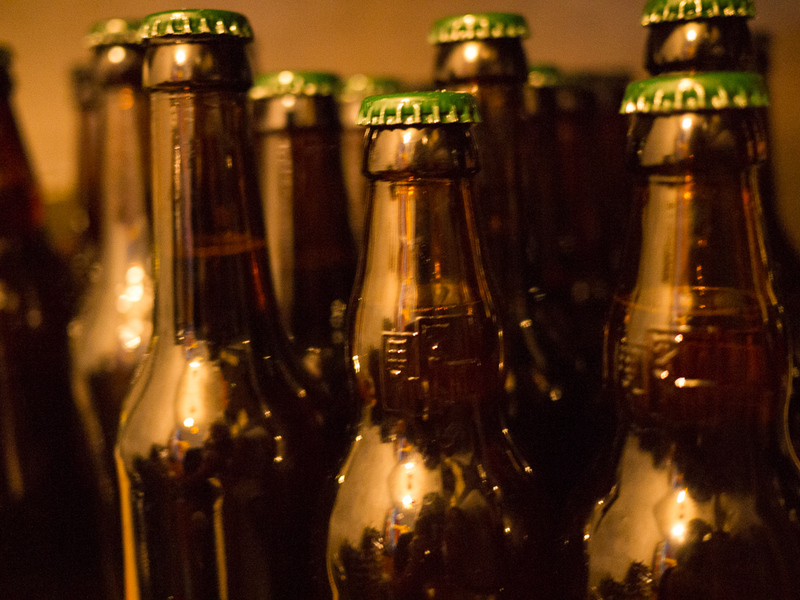 If you can try to keep 1 or 2 bottles to drink a week over the coming few months you'll be amazed how conditioning will change your beer. Especially in my early batches I found remarkably large differences from the first to last bottle. Usually by the end the beer had improved and I'd be wishing I hadn't polished off so much of it before it came good! 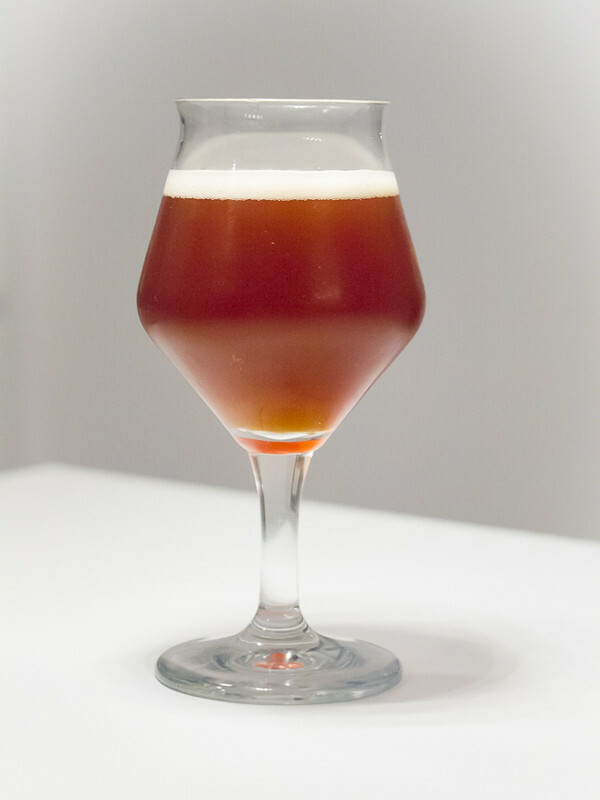 Example: I had an ESB I brewed for my 13th batch that when first opened tasted like a lite lager (!) 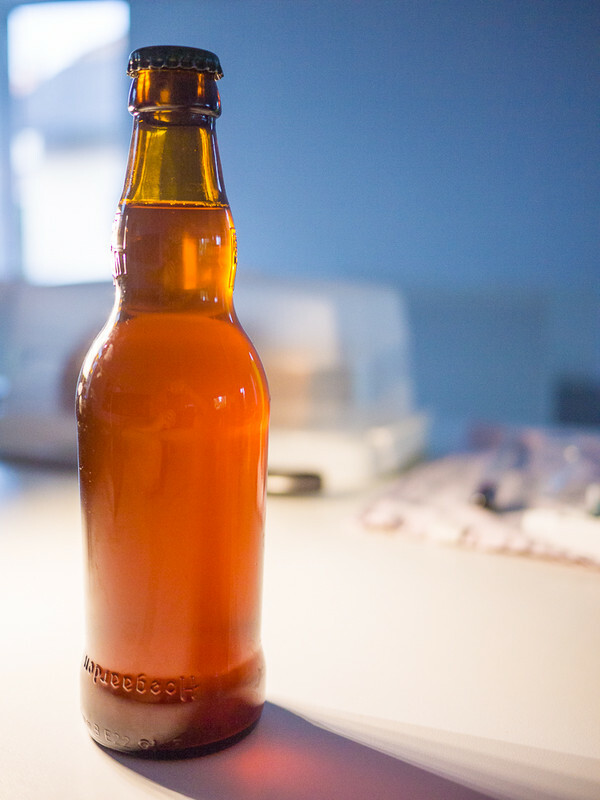 after another 30 days in the bottle the malt & yeast character came to the fore and it was a massively different beer. I think this is Mrs Marko saying, "Finally, I have my kitchen back!!!" Last edited by PistolPatch on 12 Sep 2017, 21:38, edited 1 time in total. Just noticed the additions to your post. Most often I get emails after updates, and sometimes not... Not - in this case. I used to have nicer SLR cameras, along with some basic ones, back in the 35mm days. Now with digital, I have a smaller size camera, bought a couple or three years ago, with built in zoom-able lens - good size optical zoom, and capable of adjusting aperture or shutter speed. But I rarely use it... My iPhone is way more convenient, and focuses and shoots much faster with less blurring in limited light. Solid photo advice, and a great reminder - for those of us that have become lazy and out of practice in recent years. And you have a great artistic eye for what needs to be in the photo... So all of our comments are still valid. 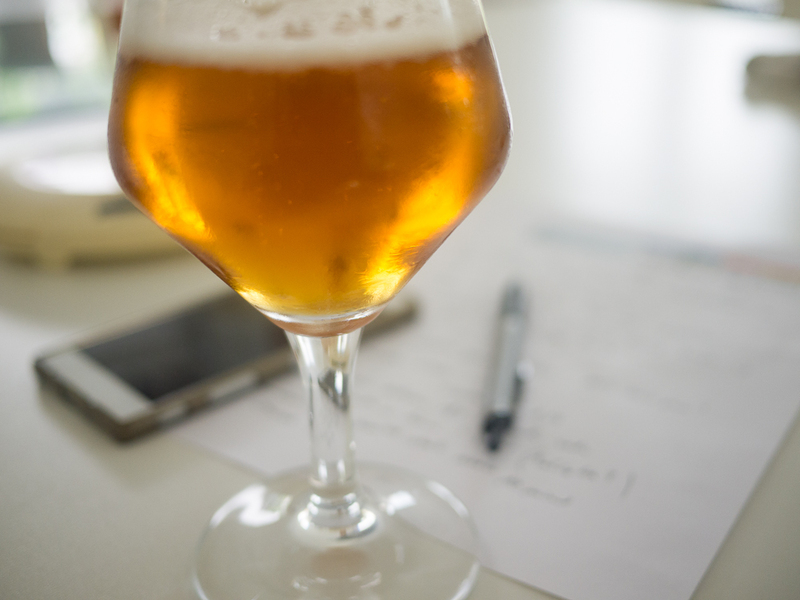 What's up next for your beer brewing? Nevertheless, give me a "proper" camera and a fast, large-aperture prime lens, and I will be in heaven. Last edited by okram on 14 Dec 2018, 05:15, edited 1 time in total. Just a quick revisit of this thread to say Hi!